The held it's 2nd tournament of the year on Lums Pond. The morning started off rainy, cloudy and windy with temps around 65 degrees. As the day went on the temps raised to 72 degree, with plenty of clouds and very little sun and less wind. We had 4 teams with 8 anglers attend our seasons 2nd tournament with each team weighing in. 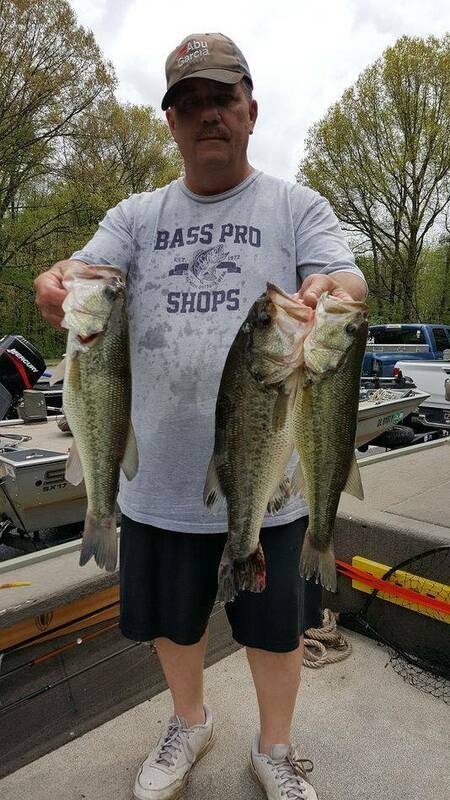 Team Jeff & Larry pulled out the win by fishing the docks grass and wood banks weighing in at 8lbs-8oz. and Larry also weighing in the Lunker for the tournament with a 3lb-13oz bass. Coming in second was Team Tony & LeRoy with a 2 bass limit at 3lbs-13oz. 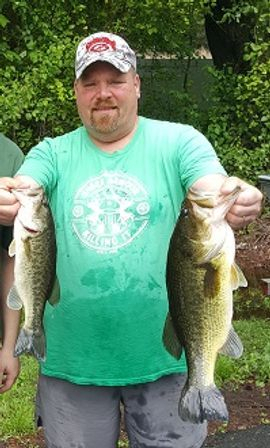 Third place went to a new team in 2019 Charlie and his son Andrew for their 2nd club weigh in and a nice 3 bass limit at 3lb-9oz, after a 4 oz deduction for a dead bass. Great job to all of our teams. We still have 3 spots open for new teams interested in joining. BTW - You can fish the club alone and are not mandated to have a partner. If you are interested in purchasing a club shirt please reach out to Phil who is handling the club shirt orders. New for the 2019 season will be an optional $5.00 lunker pot operated during each tournament by our team's Lunker director Phil. Those interest in being part of the tournament lunker pot will meet with Phil who will collect fees and award the payout following the tournament. 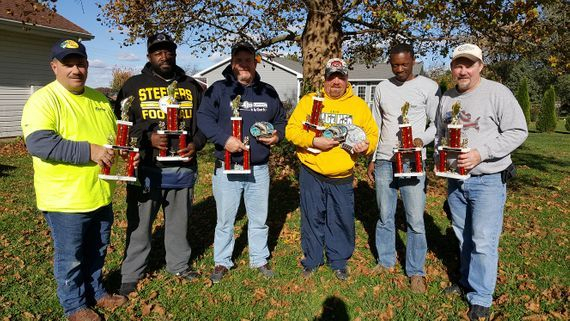 The Delaware Bass Anglers started out in 2014 as a branch of the Delaware Bass Stalkers with a focus on using a team format focusing on the basis of creating additional fishing opportunities that would offer anglers, friends, family members, etc a chance to team up and fish tournaments together as one. 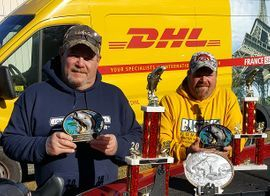 Many anglers are seeking a chance to fish a few extra tournaments, fish with others during tournament events and just getting together for some good ole' fashion tournament fishing fun and experiences. We offer very low membership dues, pay back all funds collect during the course of the season by offering small tournament payouts, hosting an end of year luncheon and trophies to the top 3 teams and Lunker of the year. Great job on the Triple Crown!! !